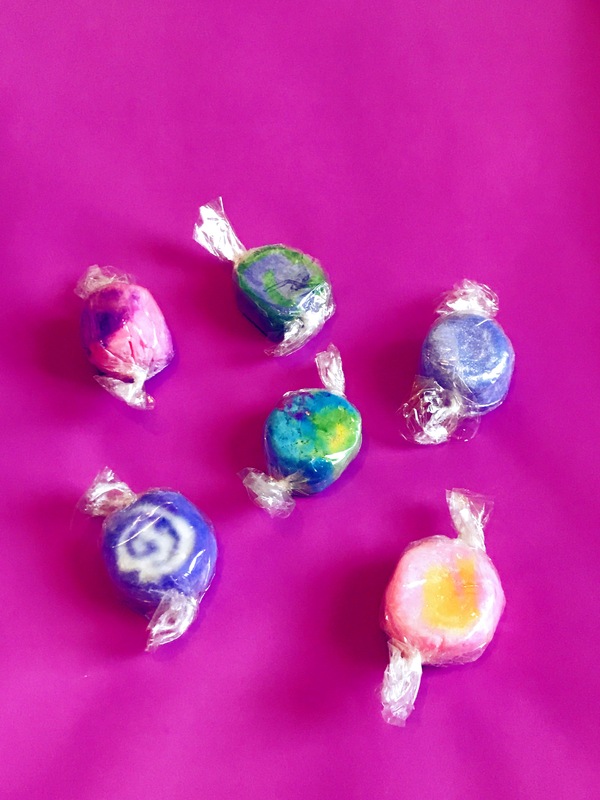 The Pick and Mix Bath Taffy Bag is a great way to try out 6 different fragrances of these fun bath taffies. I mean, it doesn’t get much cuter than this! These little guys turn into a taffy/play dough like consistency that you can play with as you fill your bathtub with warm running water. It turns your bathwater into fun colors with light scents and low to medium bubbles. I noticed that small pieces of the bath taffy remained in the tub once I was finished and let the bath water drain, but nothing a quick rinse couldn’t handle. The Kiss Me Now Bath Bomb is super cute with bright yellow, pink, and orange coloring. It even has heart sprinkles on top… The scent is a fun, fruity, and floral blend of raspberry, watermelon, cantaloupe, jasmine, violet, grapefruit, and kumquat (whew!). 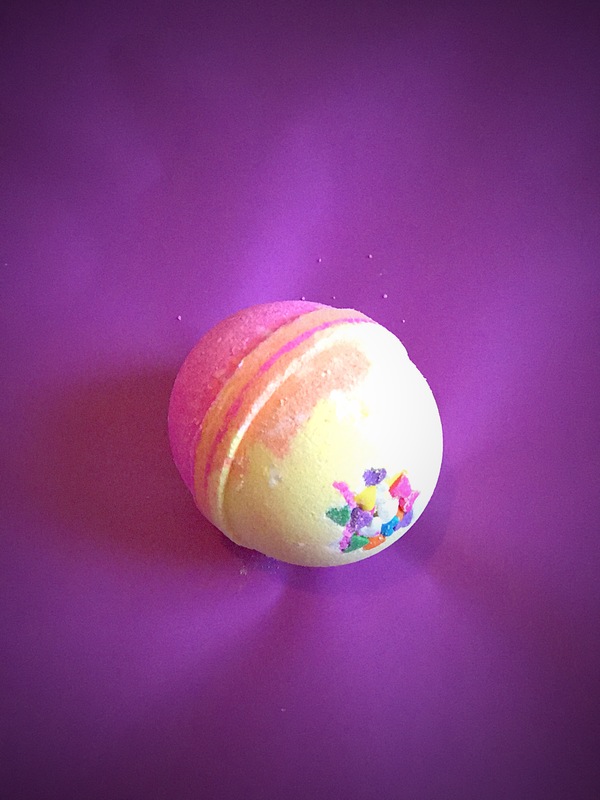 This bath bomb dances around the bathtub creating fizzy bubbles and leaving behind vibrantly colored bath water that is fantastically fragranced. This one is perfect for summer and is currently on sale! 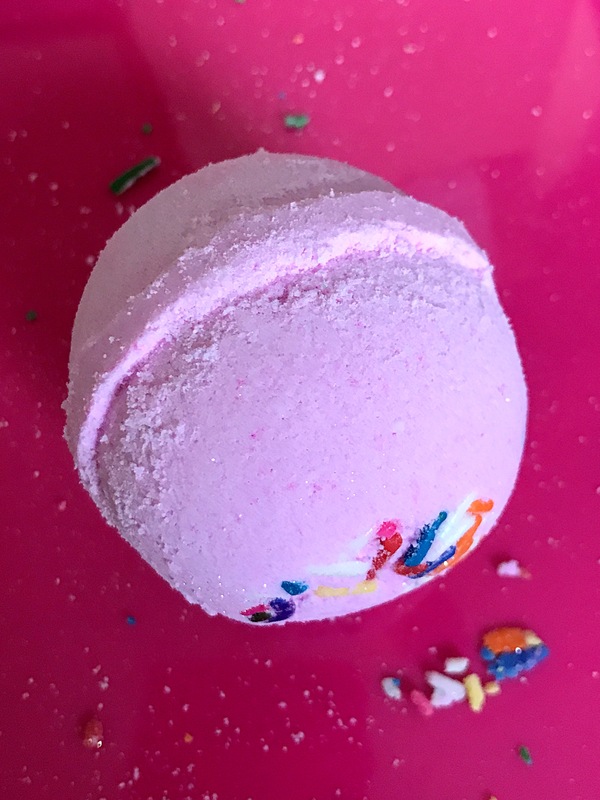 The Birthday Cake Bath Bomb has a very sweet vanilla fragrance that lingers on your skin and in your bathroom long after your bath is over with! It creates fizz and bubbles as soon as you drop it in and creates a beautifully hued pink and vanilla candy scented bathing water. The Bath Taffies are as cute as can be and smell absolutely delicious. The Pick and Mix Bag is the perfect way to try them out, and I would recommend them! The bath bombs are also of great quality and the scents are fantastic. With prices between $6.50 – $7.60, they make a delightful treat that will have you looking forward to bath time! Want to try something from Whipped Up Wonderful? Alexis, the owner, hooked me up with a discount code for you guys! Use “VTH” at checkout for 20% off of your order!